Entertaining your little ones for an entire summer can be difficult. Keeping busy both indoors and outdoors with the same activities can become monotonous, and very soon your children will shout the dreaded three word phrase "Mom, I'm bored!" With so much free time during the summer, we encourage parents to plan stimulating activities that get kids active through the non-school months. Celebrations.com is an excellent online resource for creative party planning ideas, delicious recipes, DIY how-to's and tutorials, and everyday activities. They even have a section dedicated just for kids! 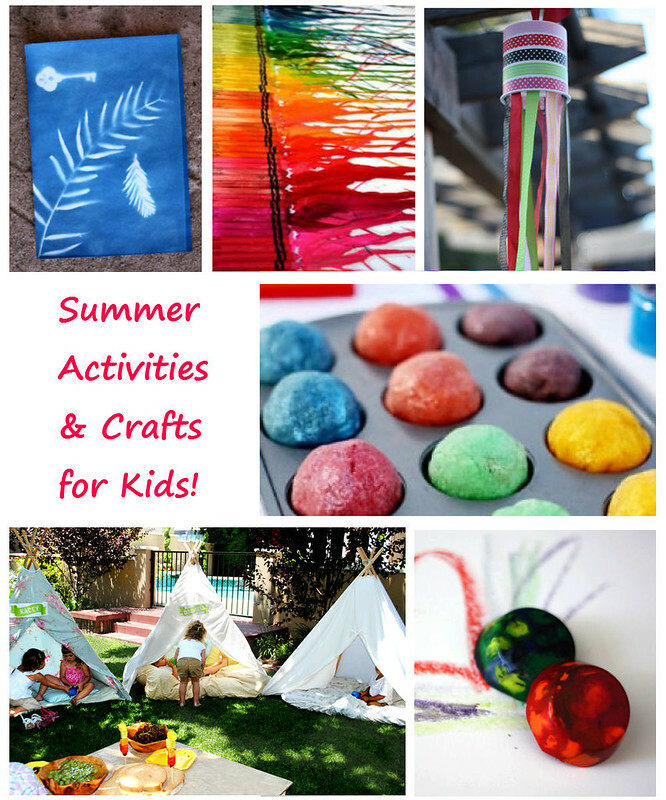 Here are six amazing summer activities and crafts that will be great "bored busters" for your family this season. Try out an activity and let us know how it goes. What crafts do your children love doing in the summer?